Lecturer: Haisul Palalavi, (Bunun Tribe), Doctor of Ethnology at National Chengchi University. Aboriginal culture lectures receive enthusiastic audience response. Did you know about the rich culture behind Aboriginal names? The naming of Taiwanese aborigines is closely related to the ethnic tribes, mountains and rivers, and tribal regions as well as other relationships. It carries on the faith towards the land and the accumulated wisdom related to the laws of naming. Behind these naming laws are also the internal naming history and values of the various Aboriginal tribes. 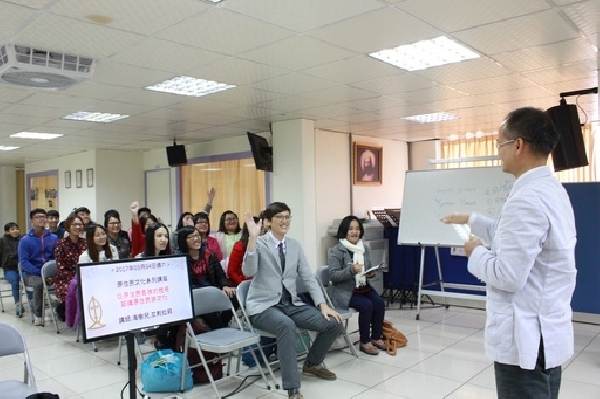 Christian Gospel Mission (CGM) has paid long-term attention to ethnic culture, and promotes multi-ethnic development. 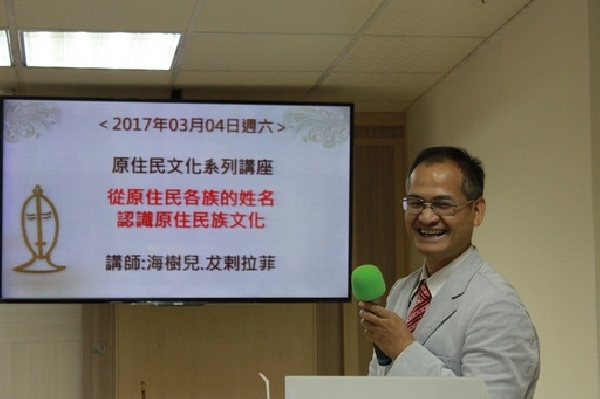 The first lecture of the Aboriginal Culture lecture series specially invited lecturing heavyweight, Haisul Palalavi (Bunun Tribe), who is Doctor of Ethnology at National Chengchi University. The lecture centered around the theme of “understanding Aboriginal culture through their cultural names.” The engaging lecture content allowed many young generations of Aboriginal children to regain their national pride and confidence. Haisul Palalavi said that social-cultural meaning of Indigenous names can be generally split into the following: 1) the relationship with nature. For example, to use the Atayal words, “behui,” for wind, and “wagi” for sun as name choices. Another example is that, for the forested Rukai tribe, the home is seen as its own living entity, so the naming system would be “the name of the house” and then “your own name;” 2) symbolizes the division of social labor. For example, in the Thau tribe, the surname “Mao” points to families who are blacksmiths; 3) personal or family life history, such as the Bunun Aziman sikin; 4) national culture interaction, such as the “Chieh” surname; 5) maintenance of group identity, such as the use of aristocratic and clan names; 6) other, such as naming with Biblical characters. Christian Gospel Mission (CGM) respects cultural diversity and believes that the respect of life starts with the respect of names. CGM hopes that these Aboriginal Cultural lectures can lead Taiwan aborigines to go deep into their historical origins and solidify ethnic forces to create a more ideal Taiwanese culture.